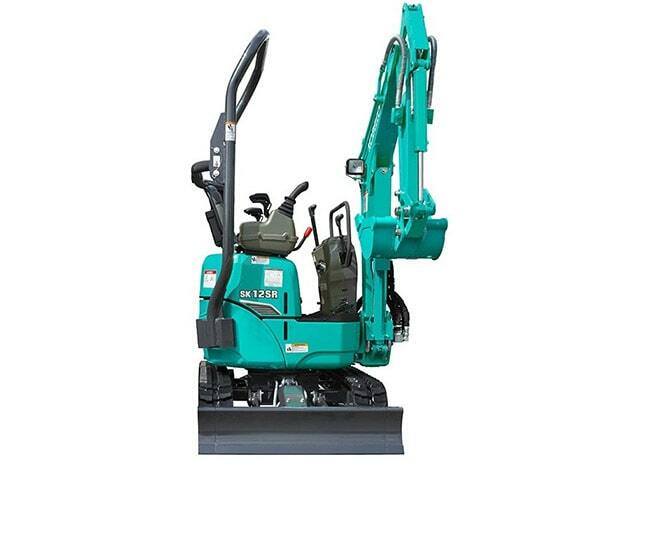 For residential areas and industrial premises, you need a machine that can manoeuvre and swing within a compact radius so it’s easier to dig next to walls. The SK12SR is designed to do just that, with smooth, powerful control, and great stability. The side lever operating style is the same as bigger machines, for relaxed and comfortable control. Hydraulic pilot makes the control levers lighter. The crawlers can be easily extended and retracted by a simple lever and the hydraulic retractable side frames are durable and self-cleaning. Standard 4YR / 4,000HR Full Warranty. This model is now available on 1.99% finance, no deposit over 36 months. Terms and conditions, lending criteria apply. Offer is only valid for Australian businesses for a limited time.